The Novoferm OFI Magnum, (Open for Infill). As this would suggest, a complete frame and chassis which the customer or contractor can infill with a panel of their choice. 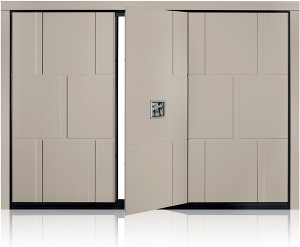 The Novoferm OFI Magnum is used for larger double width or heavier doors. For smaller doors, the more lightly constructed Novoferm OFI would be used. 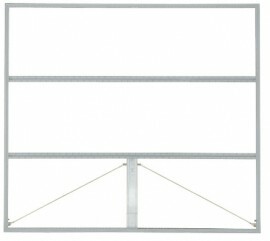 The Novoferm OFI Magnum has a strongly constructed outer frame. The frame is supplied with substantial brackets to hold it solidly to the building structure. The tracks on which the door runs are also very sturdy. So too the wheels and lifting arms. The springs for the Magnum come in different strengths according to door size. However, if you are using a particularly heavy material for the infill, stronger springs can be requested. Firstly, a careful calculation of the weight of the infill is always necessary to ensure that the springs can safely counterbalance the door leaf. This calculation is needed to find the weight of the leaf per square metre. The springs are what are termed ‘multi springs’. Groups of smaller springs fitted on each side. This is a safety feature to ensure that in the event of a spring failure the remainder of the springs can lower the door in a controlled way. Consequently, the doors are available in large sizes up to 5000mm in width and 2750mm in height and are rated for different weights of infill. The Novoferm OFI Magnum chassis is equally sturdy. 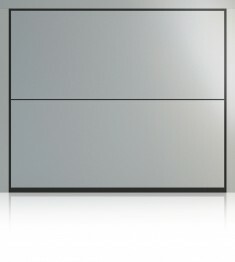 The ribs on the back of the door are designed to accept fixings for the purpose made door leaf. The OFI Magnum comes as standard with the chassis in either white or brown. The frame comes with a galvanised finish as it would normally be hidden behind the building structure. 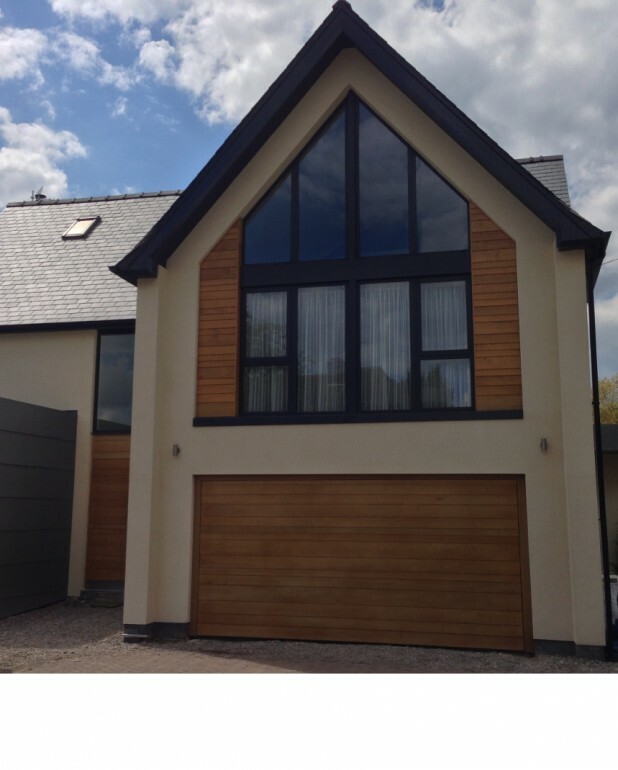 Lakes Garage Doors have supplied and installed many of the Novoferm Magnum OFI doors. 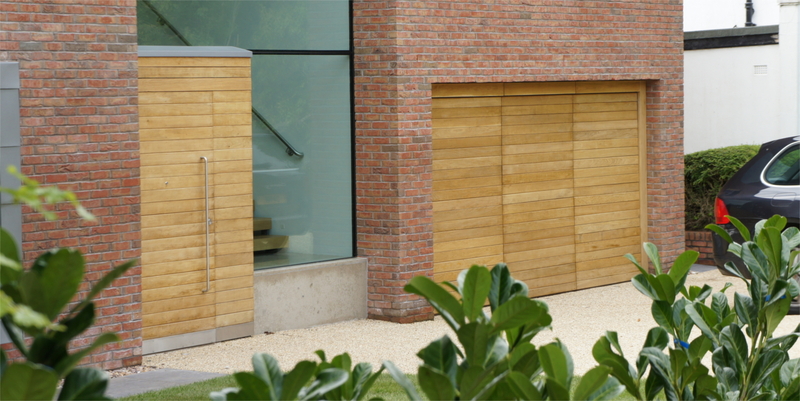 Architect specified, these doors have been mostly of a contemporary design. The Novoferm OFI Magnum is superb canvas for the architect. The garage door can therefore be designed to be an integral part of the building. It can blend in and be a complimentary part of a house or office building.